Je vous remercie de votre excellent service. J'ai communique avec votre représentant sur le chat online et il était très compétent. Il a répondu a mes questions rapidement et sans difficultés. Ensuite votre service est très rapide. J'ai commandé et immédiatement j'ai reçu les indications nécessaires. Je suis satisfait car tout semble clair et sans équivoques pour vos produits. Votre site est bien fait et inspire le professionnalisme. Dare the difference with Office 2016 and discover the new features! Intensive collaboration with your team. Access your documents anywhere on all your devices. What are the new features of Office 2016 Home & Student? Office 2016 Home & student is perfectly optimized for anyone who has a PC and who does not need Outlook 2016 professional messaging. Composed of Word, Excel, Powerpoint and OneNote you will have all the modules needed for daily or weekly use. Buy Office Home and student 2016 and benefit from 7 GB of storage in the cloud of Microsoft « SkyDrive ». Your files will be secured and accessible anywhere and at any time. The modules are indeed all compatible for use on PC and also on tablets and smartphones. This will allow you to quickly access the various documents you have recently used. Through the new Office you can quickly integrate your PDF files into Word 2016. Word; the most popular word processing software is back in its 2016 edition. 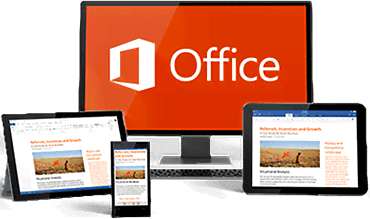 Buy Word and access all the new features of Office 2016 flagship product. The new Word will allow you to easily create content optimized for social networks and blogging. Power Point; the most popular viewer is back in its 2016 version. 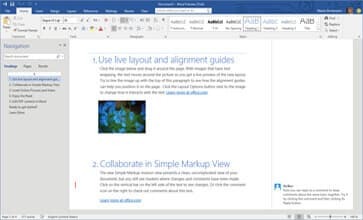 With PowerPoint 2016 all your presentations will be attractive thanks to the new features of Office 2016. 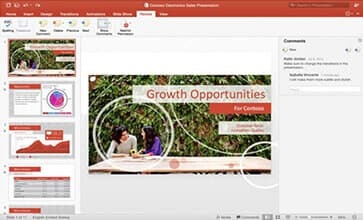 PowerPoint 2016 integrates compatible presentations on tablets and smartphones and today it focuses on responsive design. Excel; the most popular spreadsheet is back in its 2016 edition. 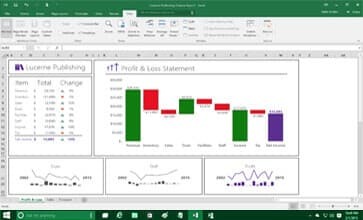 Buying Excel gives you easy access to all the new features of one of the flagship products of Office 2016. Excel 2016 is designed to make your work on spreadsheet easier with its clear, simple and modern interface.